Our florist can create a lovely tribute out of white and purple chrysanthemums which would be accented with lovely roses. A personalised tribute that will repesent your love and care in times of sorrow. I loved my delivery. 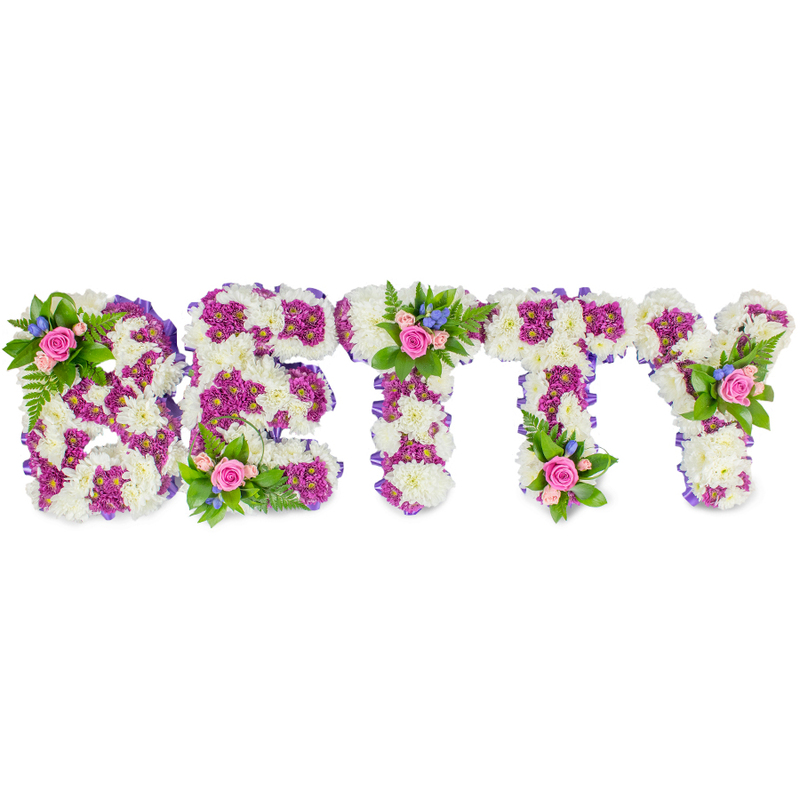 The way the flowers were designed to spell the deceased name was impressive. Happy customer. I needed the funeral flowers to spell a name, the florists not only spelt the name but ensured that the brightest of the flowers made up the bulk of the flowers. The name could be seen from yards away. Happy customer. Beautiful flowers. Thank you. Highly recommend you to everyone in need of reliable florist.